My site pictures are stored on webserver (blog) folder under /images/ and all my links from this blog are linking to www.pc-freak.net/images/.. however recently I decided to run my own Content Delivery Network (CDN) to serve images with NGINX instead of Apache because this will save me a lot of Memory and increases significantly image picture download speed. For that purpose the easiest way is to of course redirect all images requests to NGINX server running on separate port 8080. But as the redirecting /images/ requests will have a minor negative effect on static content serve speed, I thought the best way will be to create / run a separate subdomain cdn.pc-freak.net on a separate IP address to serve blog linked images. 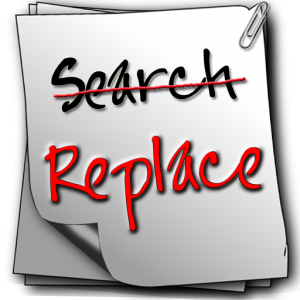 "SA simple search for find strings in your database and replace the string. You can search in ID, post-content, GUID, titel, excerpt, meta-data, comments, comment-author, comment-e-mail, comment-url, tags/categories and categories-description. It is possible to replace the user-ID in all tables and the user-login." I've also made a download mirror of Search and Replace current latest 2.7 WP plugins here. One of the companies, where I'm employed runs nginx as a CDN (Content Delivery Network) server. Actually nginx, today has become like a standard for delivering tremendous amounts of static content to clients. The nginx, server load has recently increased with the number of requests, we have much more site visitors now. Just recently I've noticed the log files are growing to enormous sizes and in reality this log files are not used at all. As I've used disabling of web server logging as a way to improve Apache server performance in past time, I thought of implying the same little "trick" to improve the hardware utilization on the nginx server as well. And hooray! Thanks God, now nginx logging is disabled! Each Apache child (I assume you're using Apache mpm prefork consumes approximately (20MB), this means that each client connection would consume 20 mb of your server memory. This as you can imagine is truly a suicide in terms of memory. Each request for a picture, css or simple html file would ask Apache to fork another process and will consume (20mb of extra memory form your server mem capacity)!. Taking in consideration all this notes and the need for some efficiency here, the administrator should normally think about dividing the processing of the so called static content from the dynamic content served on the server. Here comes the question if Apache is not that quick and efficient in serving static files, what then? The answer is caching webserver! By caching the regular static content files, your website visitors will benefit by experiencing shorter webserver responce files in downloading static contents and therefore will generally hasten your website and improve the end user's experience. There are plenty of caching servers out there, some are a proprietary software and some are free software. You might ask why exactly Nginx and not some of the other twos, well simply cause Squid is too complicated to configure and on the other hand does provide lower performance than Nginx. On the other hand Varnish is also a good solution for static file webserver, but I believe it is not tested enough. However I should mention that my experience with testing varnish on my own home router is quite good by so far. If you're further interested into varhisn cache I would suggest you checkout www.varhisn-cache.org . 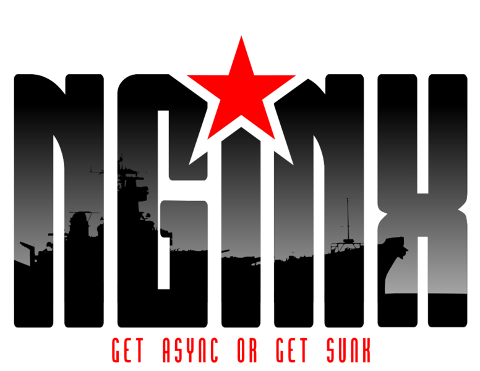 nginx [engine x] is a HTTP and reverse proxy server, as well as a mail proxy server written by Igor Sysoev. It has been running for more than five years on many heavily loaded Russian sites including Rambler (RamblerMedia.com). According to Netcraft nginx served or proxied 4.70% busiest sites in April 2010. Here are some of success stories: FastMail.FM, WordPress.com. Nginx source installation actually is very simple on Linux platforms. nginx error log file: "/usr/local/nginx/logs/error.log"
nginx http access log file: "/usr/local/nginx/logs/access.log"
nginx http uwsgi temporary files: "uwsgi_temp"
nginx http scgi temporary files: "scgi_temp"
Nginx is a really easy and simple server, just like the Russians, Simple but good! The .default files are just a copy of the ones without the .default extension and contain the default respective file directives. In my case I'm not using fastcgi to serve perl or php scripts via nginx so I don't need to configure the fastcgi.conf and fastcgi_params files, the scgi_params and uwsgi_params conf files are actually files which contain nginx configuration directives concerning the use of nginx to process SSI (Server Side Include) scripts and therefore I skip configuring the SSI conf files. koi-utf and koi-win are two files which usually you don't need to configure and aims the nginx server to support the UTF-8 character encoding and the mime.types conf is a file which has a number of mime types the nginx server will know how to handle. Change the yoursitedomain.com and /var/www/yoursitedomain.com/html with your directory and website destinations. This should bring up the nginx server, if something is miss configured you will notice also some error messages, as you can see in my case in above init script output, thanksfully there are no error messages. That's all now you have up and running nginx and your static file serving will require you much less system resources, than with Apache. Hope this article was helpful to somebody, feedback on it is very welcome!